The NYPD and U.S. Marshals took a 24-year-old man into custody in the shooting death of Frank Cali. Wale Aliyu reports. A 24-year-old man was arrested in connection with the killing of Francesco Cali, a reputed boss of New York's Gambino crime family who was gunned down in a brazen hit this week, the NYPD said. 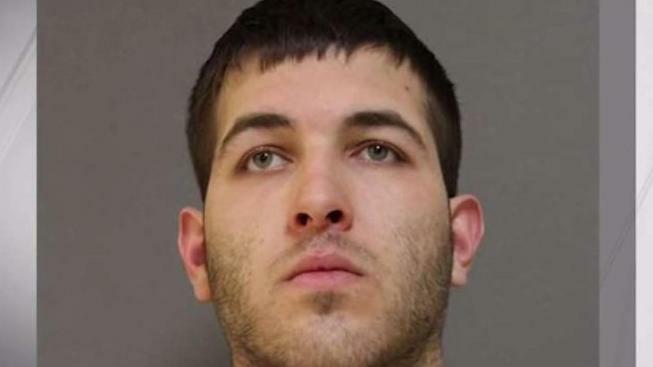 Anthony Camello, of Staten Island, was taken into custody in New Jersey, police said. Investigators anticipate returning him to Staten Island where he will face murder charges for Cali, said Chief of Detectives Dermot Shea. "While we believe we have the shooter in custody in this incident, the investigation is far from over," Shea said. Police are investigating whether other people were involved and a possible motive, Shea said. He said police have an arrest warrant in hand from the Richmond County district attorney's office. The weapon hasn't been recovered, Shea said. Camello was picked up at a home in Brick, New Jersey, by the NYPD and U.S. Marshals, sources familiar with the investigation said. His pickup truck was found on Staten Island and cell phone records may have helped lead police to Brick. One theory being looked into is whether the suspect wanted to date one of the mob boss's relatives and Cali told him to back off, the sources said. Cali, known as "Franky Boy," 53, was shot to death in front of his home on Hilltop Terrace not long after dinnertime Wednesday. The 911 caller had initially reported a man had been run over by a vehicle on purpose and that he was trapped; the caller then said he had also been shot multiple times. A suspect fled the scene in a blue pickup truck, the NYPD said. Investigators on Thursday began retrieving video from NYPD cameras positioned on the pair of roadways that lead in and out of Todt Hill, another source told NBC 4 New York. Surveillance video from the shooting scene is grainy, the source said. But it shows the suspect’s truck apparently deliberately hitting the vehicle — perhaps to get Cali to come out of his home. The two shake hands, the license plate from the suspect's vehicle falls off, the suspect picks up the license, hands it to Cali, then pulls a gun and shoots as Cali puts the license in his own car, according to the source. Chief of Detectives Dermot Shea said Thursday that 12 shots were fired, with at least six striking Cali. Shea said Cali tried to use his car as a shield to protect himself during the shooting. “Mr. Cali was struck several times by gunfire. In trying to elude additional gunfire, [he] fled to the rear area of his private vehicle,” he said at a press conference. The last Mafia boss to be shot to death in New York City was Gambino don Paul Castellano, assassinated outside a Manhattan steakhouse in 1985 at the direction of Cali's swaggering 1980s-era predecessor, John Gotti. With his expensive double-breasted suits and overcoats and silvery swept-back hair, Gotti became known as the Dapper Don, his smiling face all over the tabloids. As prosecutors tried and failed to bring him down, he came to be called the Teflon Don. Cali kept a much lower profile than Gotti. In 1992, Gotti was convicted in Castellano's murder and a multitude of other crimes. He was sentenced to life in prison and died of cancer in 2002.